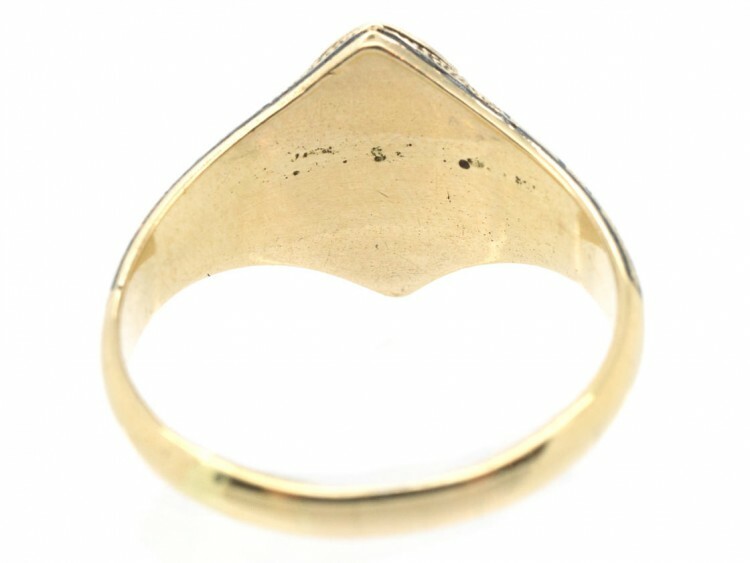 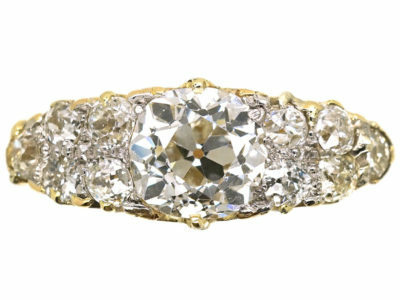 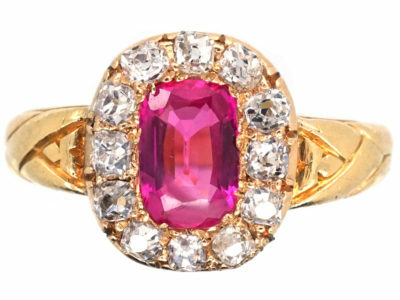 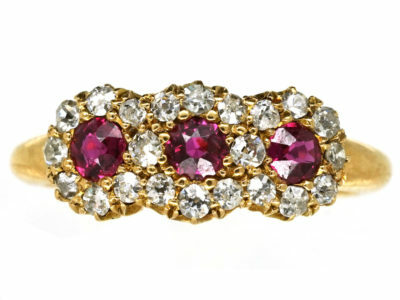 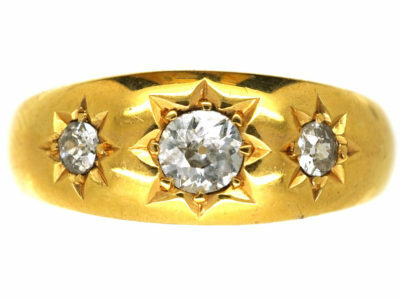 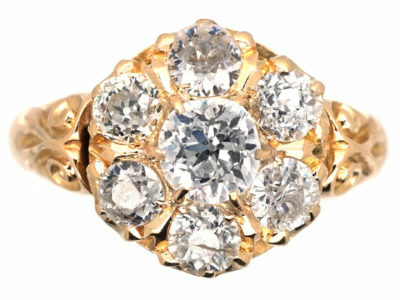 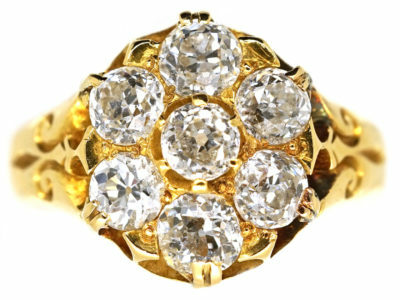 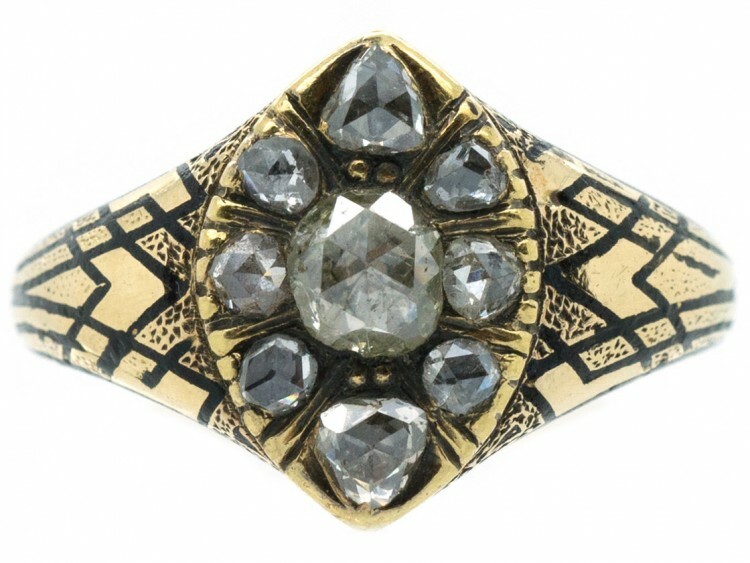 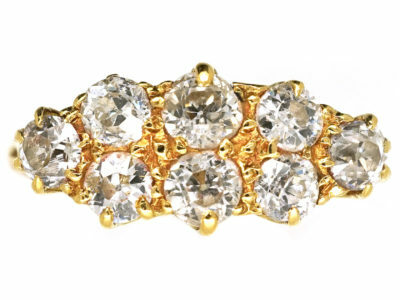 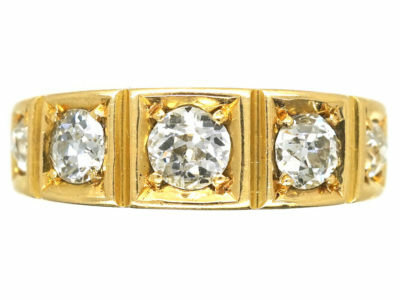 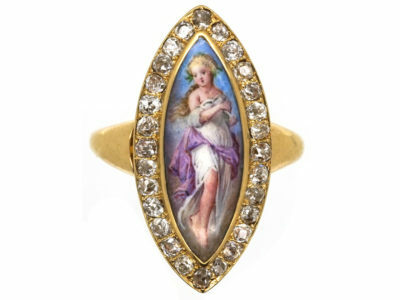 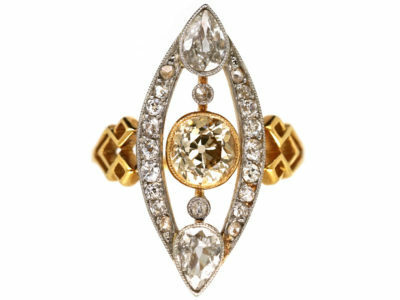 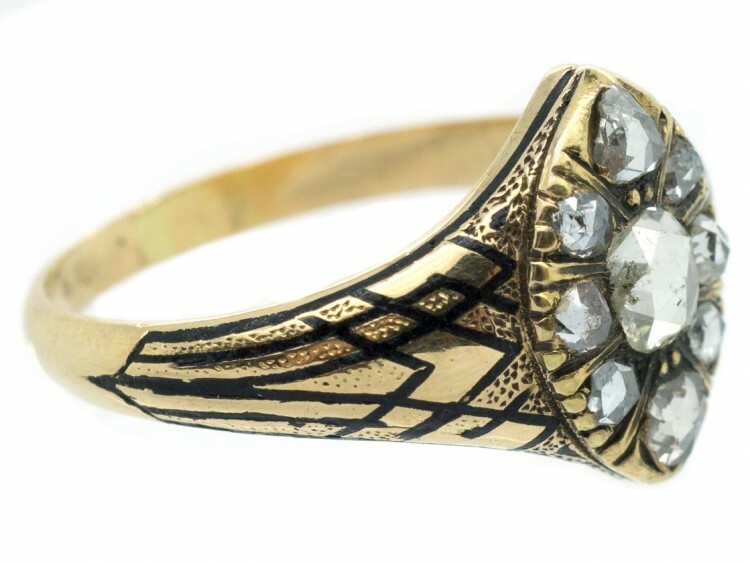 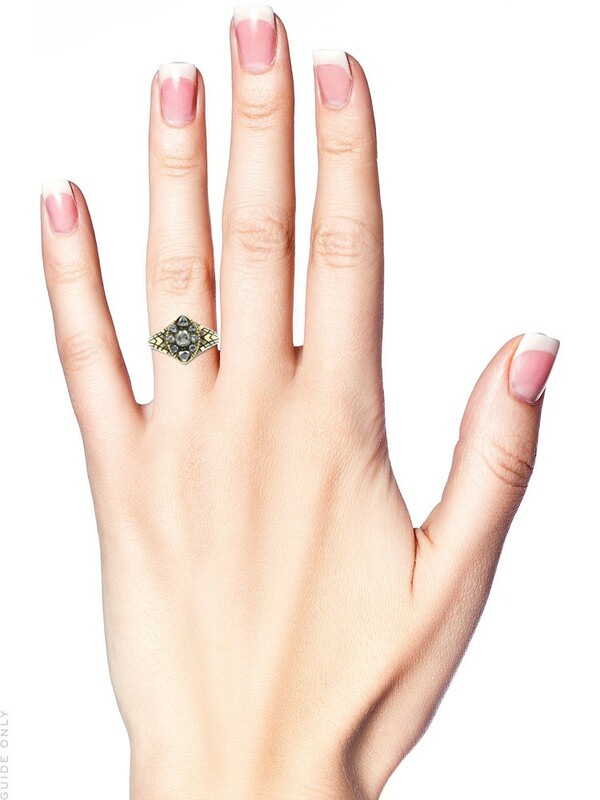 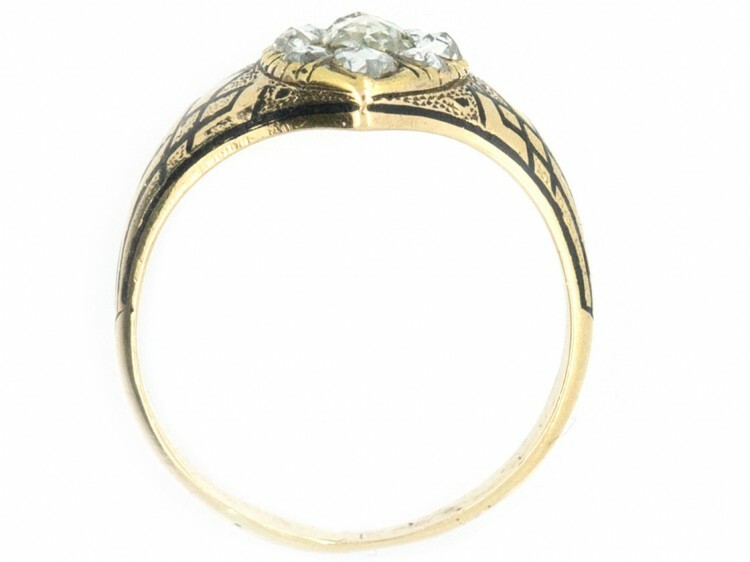 An unusual marquise shaped 18ct gold Victorian ring set with different sized rose diamonds. 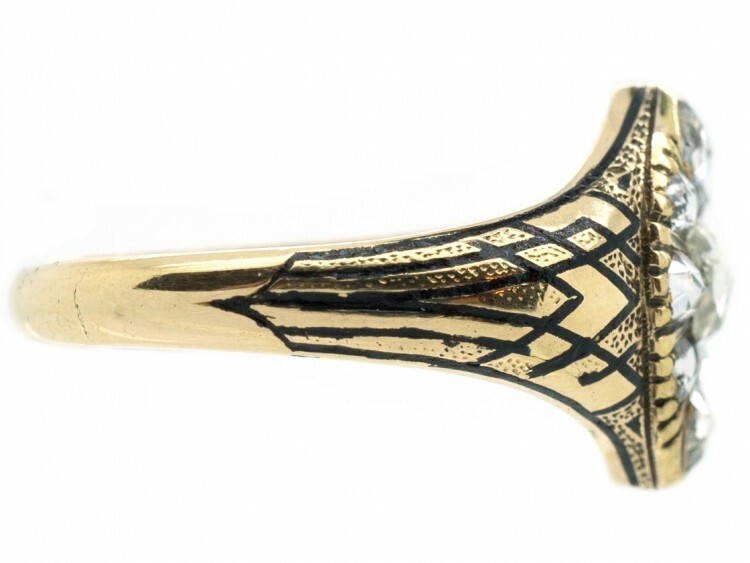 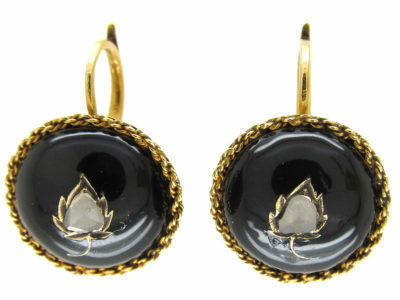 A black enamel line runs around the edge and in to the shoulders in a V shaped design. 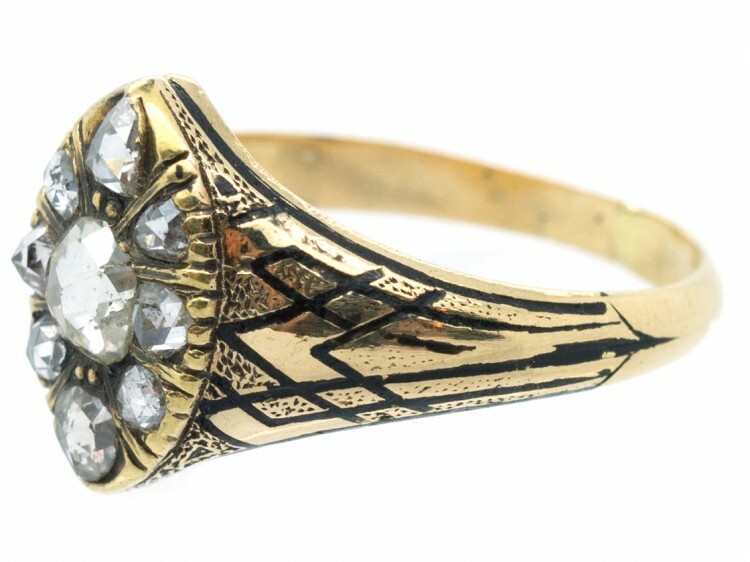 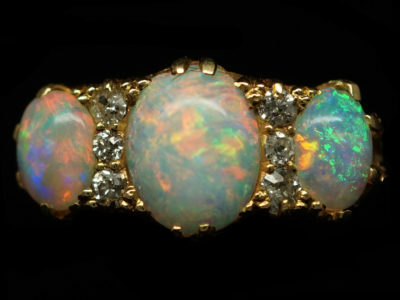 It was made circa 1860-1880.